Hi everyone and welcome newbies and oldbies. The theme this month will be TEXTING NIGHTMARES! 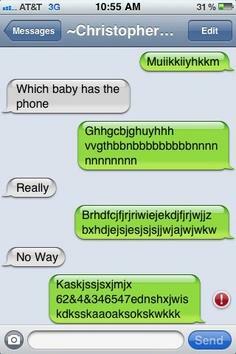 Now maybe you newbies can teach some of us oldbies a few things about texting. 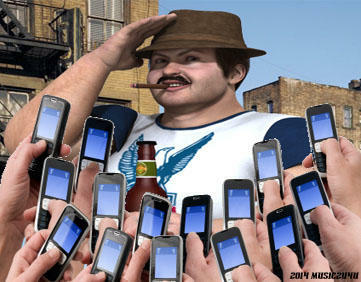 The idea this month is to make a render of folks texting in unusual situations. For example...a render of a wedding and the bride and groom are texting their vows to each other and the preacher is texting them too. All the folks in the congrigation are texting each other also. OMG! 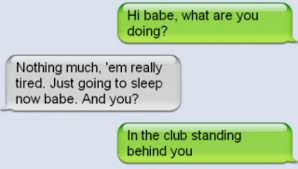 TEXTING NIGHTMARE! Or have a guy at work getting fired by his boss while caught texting on the job, but have the boos fireing him with a text message...hehehe. You get the idea. I think we can have some real fun with this one. There are many freebie phones out there and maybe Robkelk can post us up a few here...he's the freebie finder expert! 1st place - $15.00 store credit from Daz. Also I will be giving my "Redneck Dive Bar" with all it's props to the winner. Also my "One Bedroom House" and my Old Camper" too. 2nd place - $12.00 store credit from Daz. Also I will be giving my "One Bedroom House" to the second winner with it's hidable roof for rendering scenes and "Old Camper" too. 3rd place - $8.00 store credit from Daz. Also I will be giving my "Old Camper" along with it's awning and hidable roof. The HMs this month will get my "Kissing Booth" and "Lemunade Stand". If you are going to post anything that you question, please ask me or the thread first to be sure it's ok. You must comply with the Daz TOS. I will need three judges this month if anyone is interested. All you have to do is watch and listen and when all the entries are in, you go through them and pick your three winners and two HMs and pm me your picks. I then put them all together and pick the winners. Simple. ok..with all that said...LET'S GET READY TO RUUUUUUUUMMMMMMMBBBBBLLLLEEEEEEEEEE! This month's banner. Click this image>save it somewhere>Go to "Your Control Panel" at the top of this page>click "Edit Signature" on the left side> click browse and find where you saved this image and click the image. It will apply it. How did I get e-mailed a notification for this thread, since I never posted or subscribed? Weird. And why would I want to stick a banner for it in my signature line? Is it required? Sorry to be cranky about this, but as I mentioned above, I received a notification about an update to this thread and I never subscribed to it. Is this some spam thing that people in charge of the forums can do when promoting something?!? I have never heard of this happening in all the time I have been part of the DAZ 3D Forum Team. This is actually a Contest thread, but one where you do have to take care, or you may get pelted with flying cream pies. Maybe it was because I'm subscribed to the Carrara challenge? It's called, The September Carrara Challenge : Just Say NO to Flat 3D - Spinning a Popular Theme. Maybe having, September and Challenge in the title confused a script or something? Everything else in the title is pretty different though. no it's definitely not that, is a wibbly wobbly thing gone wrong somewhere. Music, what did you spike that last batch of cream pies with? I know what happened! The Notification Script has been hanging out with Forum Search Script, and one thing led to another, and some herb was puffed upon, and pretty soon the Notification Script was taking suggestions from the Forum Search Script.... The rest is history. or someone spiked the cream pies, they do tend to go flying around willy nilly sometimes. Maybe you got the subscription that I thought I had - I just had to re-subscribe to the thread. Sorry about the mix up EvilProducer. Maybe it's a sign that you should enter the challenge this next month. It is a lot of fun and you could win something maybe. Just saying! Hi celebi Nice to see you, to see you nice. hi cho good to see you to been ok? Y'know, that's one list I don't have... I suppose I can find a few and start a list on the (new) freebie wiki. HEY CELEBI! WOW! where have you been hiding?...in your clost again? I sure hope you come play this month. We all miss you soooo much and your pink kitties...lol. Would be a cool one because there are so many kinds now. They have all but taken the place of laptops...which took the place of PCs. ...oh, wait for it. It'll be worth it. Hi celebi! How are you? Ummm...I think we are shrinking, actually. waves to dana im fine thank you and yourself?